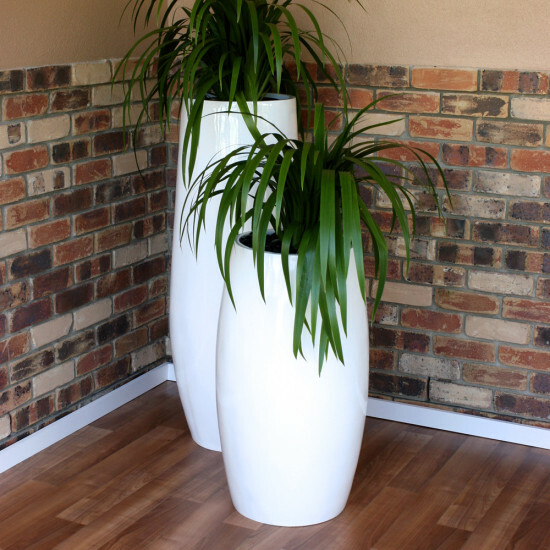 Ecogreen office plants is a Melbourne based indoor plant hire business providing stunning indoor plant displays to workplaces. We offer exceptional quality products and services at competitive prices. 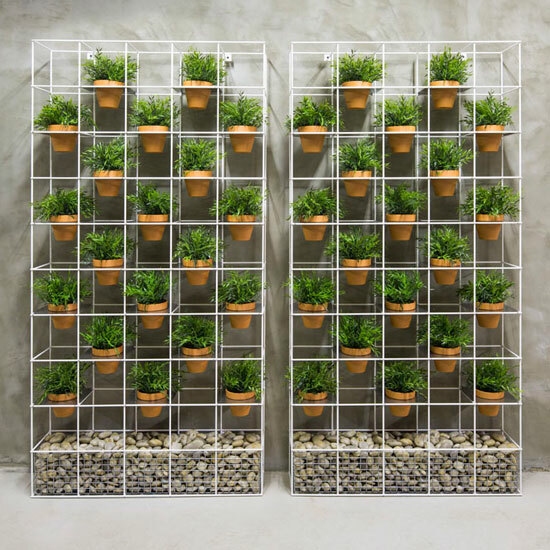 Our professional team will install and maintain your display keeping the plants looking fresh and healthy. We understand that workplaces change and evolve and therefore we are happy to develop your plant display to suit your needs. In most cases we do not have lock in contracts so you have the freedom to increase or decrease plant numbers at any time. With over 18 years horticultural experience we are proud to share our knowledge and expertise. We at EcoGreen are an indoor plant hire company based in Melbourne. We are creative artists who can craft exquisite plant displays to brighten up any indoor environment, be it an office setting or a corporate event. Our customers include businesspersons and entrepreneurs looking for simple yet effective ways to spruce up their workplaces. We believe nothing perks up the mood quite like beautiful indoor plants, and we have based our company around that belief. And today, we are proud to claim the title of the top Melbourne plant hire business. Over the years, we at EcoGreen have built a solid reputation for ourselves based on our innovative and inspiring displays, our work commitment and our honesty and integrity. We have long been setting the trend in the plant design market and have received rave reviews from customers in all four corners of Australia for our stunning creations. Each of our plant designs is a sight to behold, crafted with a level of precision and attention to detail that’s rarely seen nowadays. Our success story revolves around our strong emphasis on quality. This is an aspect we absolutely refuse to compromise on, as we believe that the customers who put their trust in us deserve only the best we can offer. Our office plant hire services are of exceptional quality and deliver 100% value for your money. Moreover, our services are available at highly competitive prices, ensuring that, whatever your budget, you are able to enjoy our corporate services. We are the best of the best in our line of work, and our professional artists are able to offer first-class design solutions that are sure to give your corporate environment a brand new look and feel! Our vibrant plant displays are like a breath of fresh air for your workplace, livening up the atmosphere with their bright hues and vivid colours and giving the room a cheerful, warm and welcoming appearance. If you feel your office is far too drab and dull, adding some of our beautiful creations here and there will set off the room and transform it from plain to glam in an instant! That’s the magic EcoGreen spins! 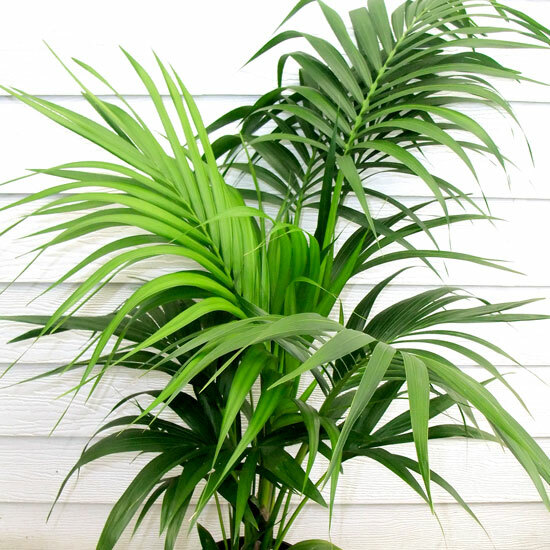 You may be wondering why you should choose us from among the many indoor plants hire companies out there. What we have to offer you is our strong reputation backed by countless glowing reviews left by our valued customers and our innovative plant designs that are truly pieces of art. Throw our appealing price tag into the mix and you have an irresistible offer we guarantee you won’t find anywhere else! It is very important to set the right tone and mood in an office environment; otherwise, your work takes on a boring and monotonous quality. Our indoor plants add panache, style and elegance to your office, bringing that spark of vitality, vigour and zest you need to revivify your mood. Our plant displays are very refreshing and eyecatching, and have an incredible ability to add zing and life to any workplace. But that’s not all our plants do. Our indoor displays are more than just decorative centrepieces gracing your desks and tables. More importantly, they keep the atmosphere healthy and fresh by filtering out harmful toxins and pollutants floating about in the air, supplying you crisp, clean air to breathe. They bring cheer and warmth to any room, creating a happier and healthier environment for you and your staff to work in. Our professional team is actively involved in each stage of the creative process, helping you select the most suitable plants that gel in well with your office or corporate event. We also provide plant maintenance services to ensure our plant displays remain healthy and fresh and last you a long time. Moreover, we offer creative and insightful design tips to give your workplace a refreshing style upgrade that will make the office environment a joy to work in and a pleasure to be a part of. Our aim is to deliver a world-class décor service that will leave you awestruck and keep you coming back for more! Why go for indoor plants? Indoor plants are all the rage these days. Both homeowners and entrepreneurs are scrambling to get their hands on these stunning accessories to decorate and embellish their rooms. That’s because indoor plants are a quick, uncomplicated and effective way to beautify your room. 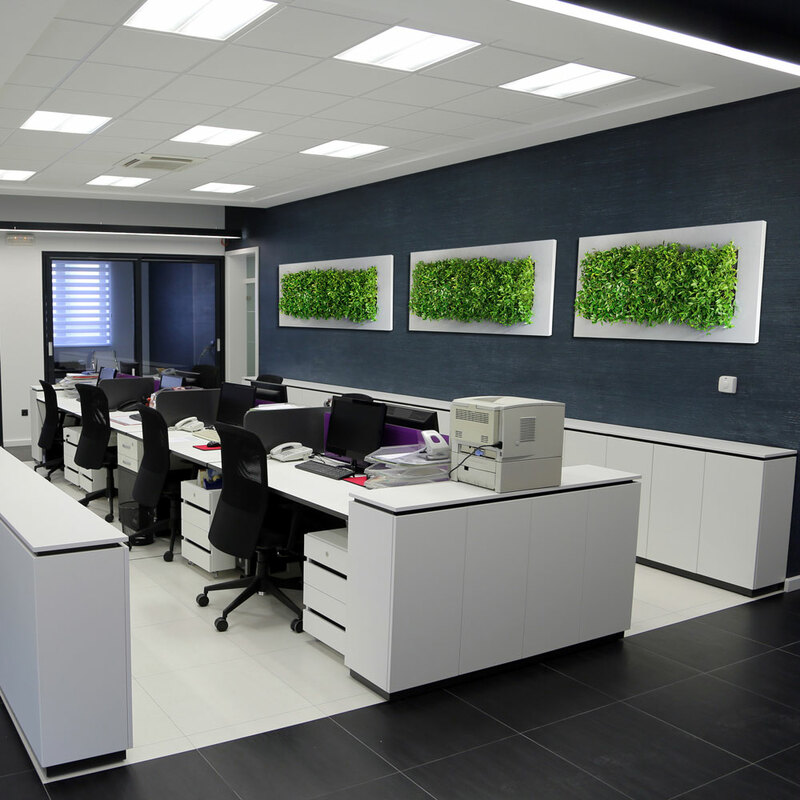 Office environments, in particular, benefit from green plants. Office rooms are generally plain and unadorned, painted in basic, monochromic shades and are typically designed for functionality rather than aesthetics. Scattering colourful pots of green plants around the room offers a much-needed break from monotony and adds a vibrant touch to the otherwise unadorned environment. Not to mention, plants have a natural tendency to convey feelings of happiness and contentment. Filling your office with verdant greenery will help you stay optimistic and enthusiastic all day and will help you work with renewed energy and vigour. Not to mention, workplaces teeming with indoor plants promote a positive brand image to customers and visitors. 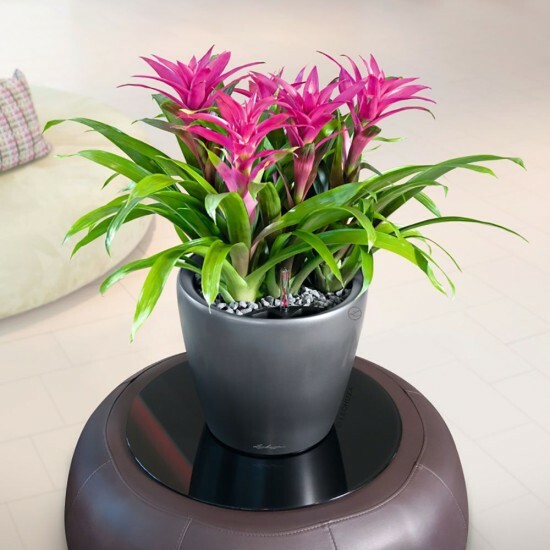 Moreover, indoor plants are great for your health and wellbeing at work. Packing your office with greenery is an effective way to regulate stress levels. Stress is a necessary burden in work environments, especially when working on high-priority projects. Keeping your office green is a great way to remain calm, composed and peaceful while working. 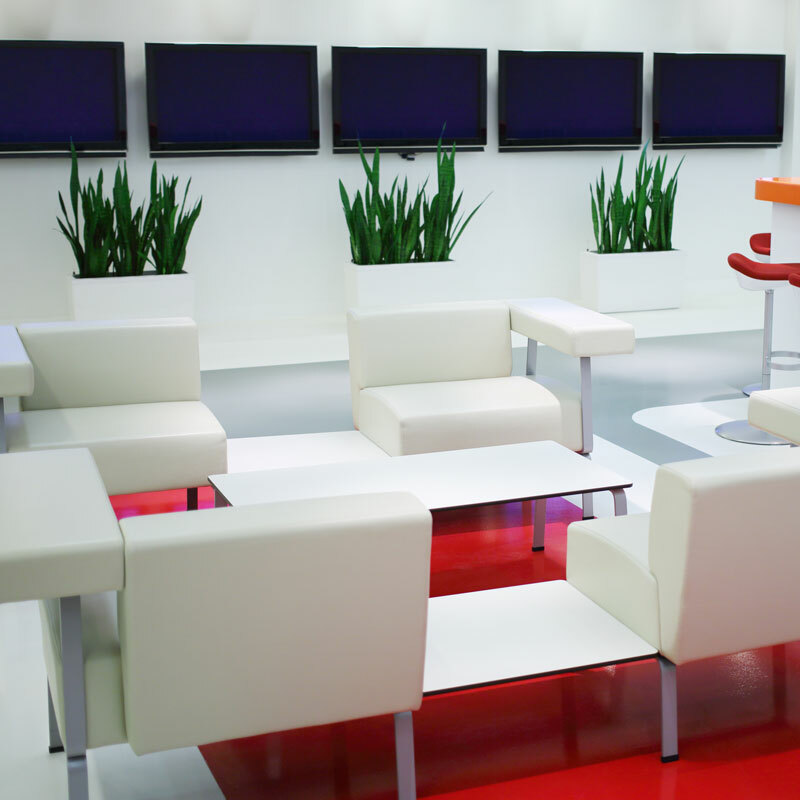 Offices are often closed-off environments with central air-conditioning and heating, so that little fresh air flows. This stale air is prime breeding ground for pollutants and toxins. The artificial cleaning agents and air fresheners used in offices only aggravate the problem. Adding a profusion of indoor plants is a great way to rid the air of harmful pollutants; plants breathe in the impure air and exhale pure, fresh oxygen, thereby stabilizing air quality. Because they bring so many benefits, it’s a smart idea to invest in green plants for your office today! We at EcoGreen offer some of the most visually stunning plants for hire Melbourne you’ll find anywhere! 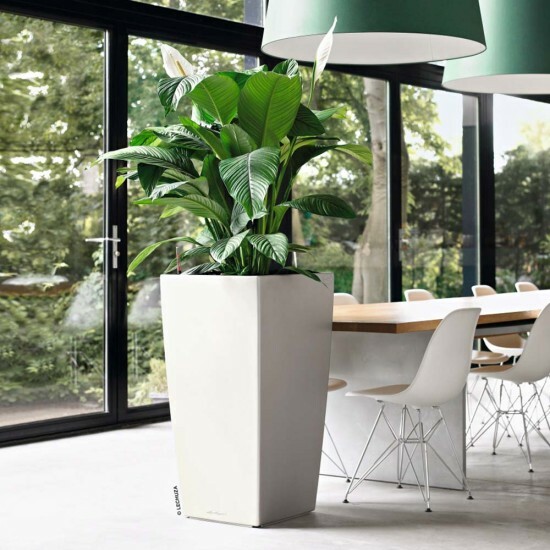 Nothing screams class and style than charming pots filled with verdant plants scattered around an office. We at EcoGreen are renowned for our plant hire services. We help you select from a range of pots in all shapes, colours and sizes and then select plants that complement different areas of the office. 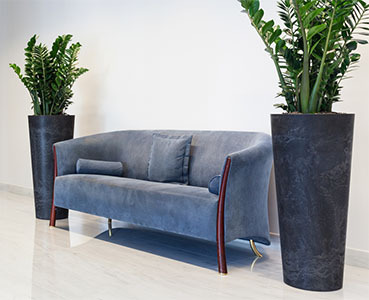 Our consultants are well-versed in the technicalities of horticulture and plant care and can plan out a smart and classy design that suits your workplace down to a T.
We take utmost care not to disrupt the office environment while installing the pots and plants around the area. Our specialist plantscapers will then make sure your plants are maintained in excellent condition. If you want to hire plants for events, look no further than EcoGreen! Our exquisite plant decorations will help you make a style statement at your next event. Whatever the occasion, our elaborate displays will augment whatever decorations you have in place and will surely make you the talk of the town. Incorporating lush greenery is an instant way to brighten up the setting, adding sophistication, charm, colour and style to your event. Whether you want scattered potted plants to lighten up the ceremonial décor or whether you need a profusion of colourful displays to match the wedding theme, we at EcoGreen are willing and ready to help you. Our expert designers are sure to achieve the desired effect every time! We take good care of your corporate gardens, courtyards, balconies, herb and vegetable gardens. Our professional maintenance team makes sure your garden stays bright, lively and blooming all year round. We handle your plants and shrubs with loving care and you can rest assured your garden is in the best possible hands when you hire EcoGreen! A blooming garden shapes the mood of the entire workplace, so it’s very important to keep your garden in tiptop condition to make for a bright and cheerful atmosphere. Our expert team ensures your garden remains trim, neat and manicured, creating a bright and warm ambience. Our corporate plant upkeep services range from regular to seasonal maintenance, from mulching to planting to expert horticultural advice. We are trained in every aspect of plant care and maintenance and can offer you many useful tips and tricks of our trade. A spruce and smart garden coveys positive brand image; and that is exactly what we aim to do!When you hire EcoGreen, you will be able to see instant changes in your garden. Your plants will rejoice and bloom under our gentle and loving fingers, and you’ll soon be able to see visible results of our magical touch. We are huge plant lovers and will take care of your garden and your plants as if they were our own. We also design and maintain portable balcony gardens so that you can enjoy the vivid greenery every time you look outside. We install strong, functional and double-walled planters that can withstand the rigorous environment of a high-rise office building and can easily be placed on balcony and rooftop ridges. And the best part? We also design and maintain portable gardens filled with edible produce that’s sure to be a great addition for any corporate environment and a thrilling treat for staff and visitors. Your staff will be able to pluck fresh produce straight from the plants and eat it alongside their lunch. This is a great way to stay healthy and invigorated during work hours. We offer you a tantalizing range of seasonal greens and herbs to choose from, and our team make sure your garden is bursting with delicious and ripe produce for you and your staff to enjoy. From cherry tomatoes to spring onions, from strawberries and blueberries to silverbeet, limes and lemons, our selection of edibles is truly mouthwatering and delectable. The delicately exquisite art of plant décor is our forte and we are very good at what we do. We offer our corporate customers stunning plants for hire Melbourne that are sure to make a style statement at any and every type of official or formal event. We design and craft enchanting plant decorations that will set any environment alight with their delicate beauty and sophisticated charm. From pretty flower arrangements to intricate plant walls to elaborate live wall art, we are experts at what we do. The secret to our success lies in our love for what we do; we are passionate about our work and this stimulates us to go above and beyond most companies to offer you the ultimate best in terms of office plant hire Melbourne. If you are in need of outdoor plant hire, there is no other company as qualified, trained or competent as EcoGreen. We have been acclaimed as a nationwide leader in plant hire and upkeep services. There are many companies out there specializing in plant hire; none can match us in term of quality, service delivery, thoroughness and integrity. Our team consists of skilled professionals who have received training in the intricate art of plant design and plant maintenance. This is a very detailed and elaborate field; only those excel who possess true dexterity and finesse. Given our emphasis on hard work, consistent effort and focus on quality and customer service, it’s hardly surprising that we are the trending plant care and plant maintenance company in Melbourne, Australia.